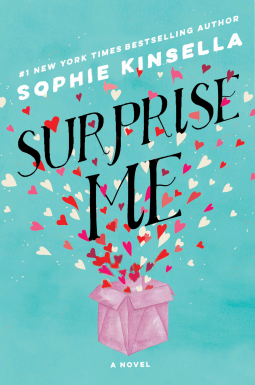 I am super stoked to be able to read a new book by Sophie Kinsella. I love her writing (ie: Twenties Girl and My Not So Perfect Life). This newest book is no exception. I was very surprised by it though. The way Sylvie and Dan deal with each other throughout the course of the book changes pretty drastically. They start out as the perfect couple that are so in sync they can finish each other's sentences and pretty quickly become a couple hanging on to their marriage by a thread. I admit that I jumped to all the wrong conclusions while reading this which is AWESOME! I love when a plot surprises me. There are some pretty serious issues at play here ranging from infidelity, money issues, public opinions, depression, all the way to denial. I had a hard time putting this one down. The thing that I love most about this book is how very easy it is to relate to. I give this one a 5 out of 5 stars.